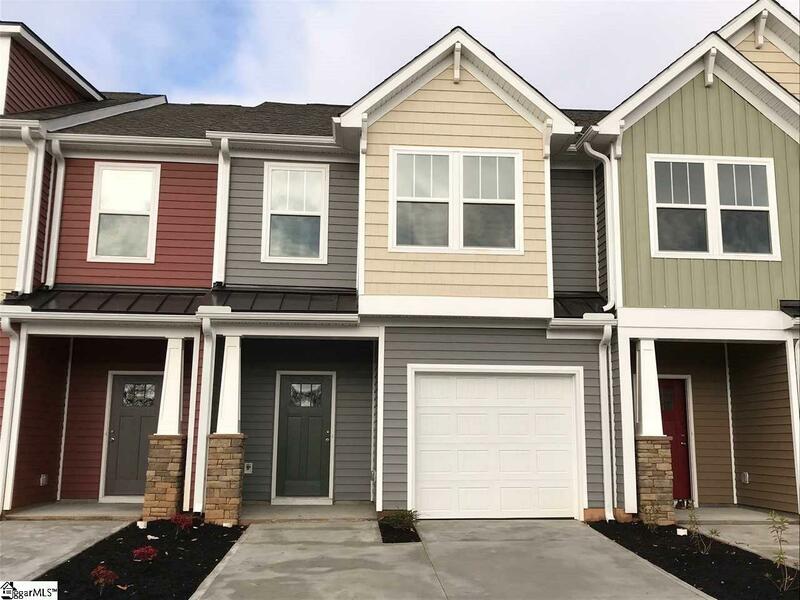 Luxury and Affordability all wrapped up into one beautiful Craftsman Style Townhome! You will know Fairmont Ridge is the community for you the minute you drive into the single entry quaint community with private wooded views. You will appreciate the double parking concrete driveway with an attached garage with ample parking for multiple cars. Covered porch with vibrant front door colors add to the beauty of the community. Open your front door to an amazing foyer and bright open floor plan, adjoining living room, kitchen and breakfast nook with plenty of light. The pantry provides ample storage with plenty of shelves for storage. The granite island will provide ample space for prepping and entertaining your treasured guests. Aristokraft Cabinets with pull out shelves and crown molding which makes for a modern luxury. Upstairs you find two secondary bedrooms with walk in closets. A generous size full bathroom with cultured marble countertops. Owner's private bedroom presents itself as a divine Master Suite with massive windows with a garden like view. A sleek en-suite master bath with double sinks with cultured marble counter tops offers a relaxing oasis after a hard day at work. Enjoy gatherings in your generously-sized patio and backyard. Outdoor storage closet included in this wonderful home. Rest assured your home has been built with the best of materials including Certain Teed 25 year shingles, Certain Teed Vinyl Siding, Sherwin Williams 2 tone paint with smooth ceilings, Whirpool Stainless Steel Appliances, Lennox 14 Seer HVAC System. 2M Quality inspection by a 3rd party plus a 10 year Builder Warranty through Quality Builders Warranty Corporation. This community is situated in Booming Duncan SC minutes commute to expressways and all amenities. This is a house you would be proud to call home. Listing provided courtesy of Stacy Rector of Dan Ryan Builders.